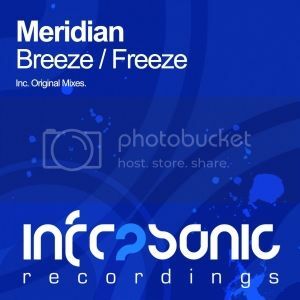 Meridian - Breeze E.P [Infrasonic] | OUT NOW! Thread: Meridian - Breeze E.P [Infrasonic] | OUT NOW! It may be cold outside, but Infrasonic super star Meridian is on hand and delivers two very hot tracks that are guaranteed to give you that warm glow all over. Kicking off his ‘Breeze E.P’, we start with the title track ‘Breeze’. As ever, the young production maestro effortlessly fuses a cocktail of cool, unique sounds and delivers that pin point hit of electronic vibes. Chopped vocals, warm pads and a lush, playful melody are just some of the delightful elements in this first track. 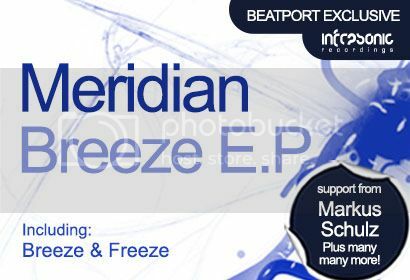 Round two is ‘Freeze’, which delivers more of that much loved Meridian sound. Emotive chords, an uplifting vibe and a huge piano driven drop that will for sure cause goose bumps when you hear it. Killer stuff right here from Meridian.